Bud and Doyle's girlfriends just dumped them. 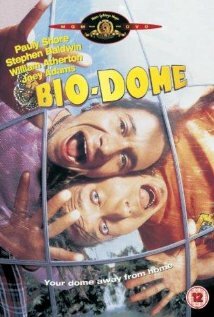 Now the two friends get trapped in the "Bio-Dome" trying to show their girlfriends that they to are environmentally correct. Will they even get out of the big bubble? Taglines: Your dome away from home. During the "restoration of the dome" sequence near the end of the film in which Safety Dance is playing, a dwarf dressed in medieval attire is following the group. This is a direct reference to the original music video for Safety Dance, which features a dwarf in those same clothes. Continuity: Doyle's hair when Bud is explaining what happened to Doyle's head. Bud: 'Scuse me miss. Are you tired? Bud: 'Cause you've been running through my mind all day. This is a 50/50 movie, you either love it or you hate it. Funny lines are few and far between, but do exist. The rest of the film is just mindless humor that wasn't funny even for mindless humor. 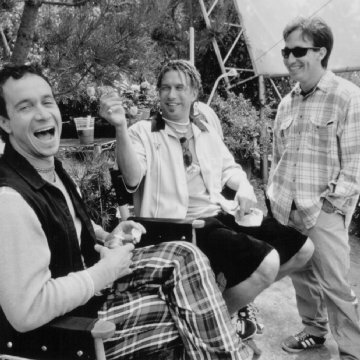 Great for Pauly Shore fans and for those who enjoy slapstick comedy. Otherwise the other 99.9% of the population will probably tire quickly of the lame jokes and one dimensional, almost cartoon like characters. You have to wonder why anyone thought it was a good idea to go ahead and make it. 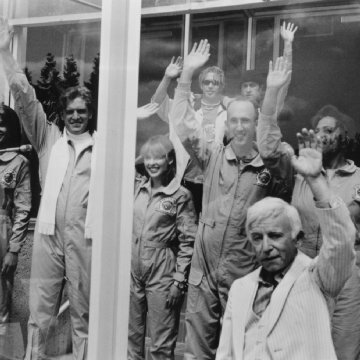 The movie ensnares the viewer by opening with a promising start. The movie quickly deteriorates from there. 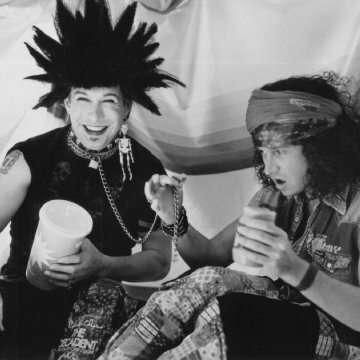 Stephen Baldwin only adds to the overall idiocy. As if one bad actor wasn't enough.